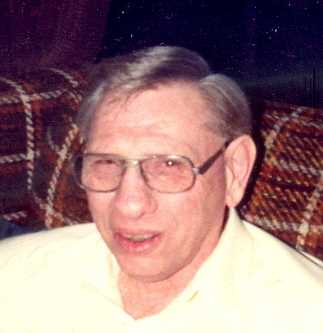 Robert (Bob) E. Bauman, 84 of South Michigan Rd, Argos, Indiana died on December 6, 2018 at 4:15 a.m. at the Wampler's Senior Home, Bourbon, Indiana following a brief illness. On March 1, 1934 in Plymouth, Indiana he was born to Michael Bauman and Mary (Herrick) Bauman and had lived most of his life in Marshall County. Bob worked as a Welder and Iron Worker affiliated with UAW-CIO. Bob had attended Plymouth High School and was a past member of the Moose Lodge, Plymouth, Indiana; Fulton County Power of the Past, Rochester, Indiana. Friends may visit with the family on Tuesday December 11, 2018 from 5 p.m. – 7 p.m. at the Earl-Grossman Funeral Home, 208 N. Michigan St., Argos, Indiana. Funeral Services will follow on Tuesday December 11, 2018 at 7:00 p.m. at the Earl-Grossman Funeral Home, 208 N. Michigan St., Argos, Indiana. Burial will be at Maple Grove Cemetery, Argos, Indiana at a later date.